What do you do when you need to buy or order something? Right, talk to your friends and ask for advice. Their experience is always credible. And it is the best reward and recognition for a company when a client can safely advise it. That’s how the ecommerce manager of Urban Gloss became our client and one more successful ecommerce story started. 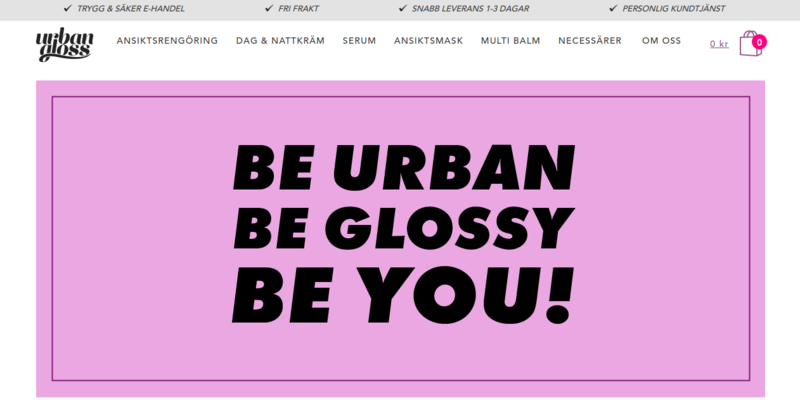 Urban Gloss is a famous skin care and beauty company from Sweden. 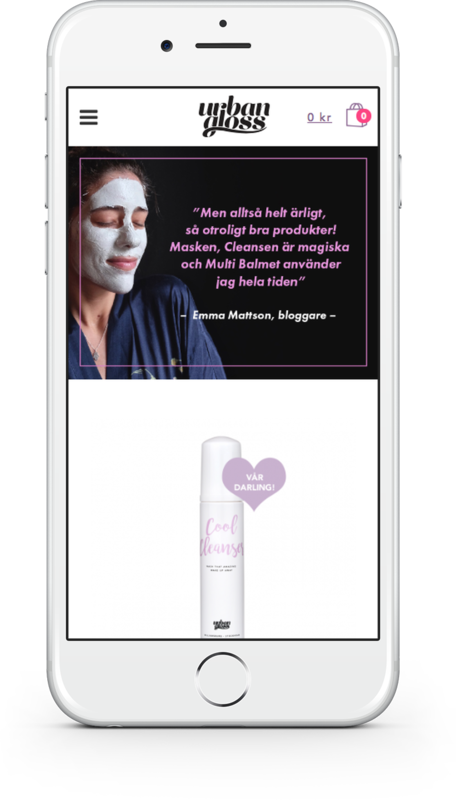 This young brand specializes in easy-to-use beauty products that are adapted to the cold climate of Scandinavia. A wide range of products, effective ingredients, and attractive prices are the hallmark of this company. The Urban Gloss online store is based on Magento 2. As it was an already working webstore, our main task was to fix all the bugs left by the previous developers. Alongside the webstore improvement, we taught the staff how to use it. Our teaching quality turned out to be so good that now the owner of the webstore can manage the webstore himself without our help. We paid special attention to the homepage. There are promotion photos mixed with products in the catalog block. Such placement required special customization. Another feature is the product picture change upon hovering. We also took care of the mobile version as it is very important for traffic generation. Do you know the best indicator of quality in ecommerce development? It is when a client comes to you with a new project but never with the already implemented one because it works stably without continued assistance of the development team. This is exactly what the Urban Gloss webstore is about. We are proud to have this Magento 2 webstore in our portfolio.